There are a variety of resources and programs to educate people about improving the level of control of asthma symptoms. Take a deep breath, you’re in Vacationland, the way life should be. But underlying the image of pristine beaches, lakes and hiking trails is a little-known fact: Maine has the third-highest adult asthma rate in the nation. 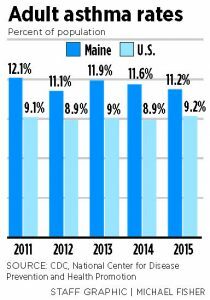 Coming in behind Hawaii and Massachusetts, Maine’s asthma rate affects 11.2 percent of Maine adults, compared to 9.5 percent for all of the United States in 2015, and that prevalence is not decreasing. • More than two-thirds (71.1 percent) of Maine adults with asthma have indoor furry pets; more than half (54.1 percent) of those with furry pets allow them in their bedroom. • Nearly one-third of Maine adults with asthma live in homes with a wood-burning stove or fireplace (30.9 percent) or use gas for cooking in the home (31.4 percent). • Nearly two in 10 (18 percent) Maine adults with asthma live in homes in which someone has smoked indoors within the past week. • Nearly eight in 10 (77.7 percent) Maine children with asthma live with indoor furry pets; more than half (57.7 percent) of children with furry pets are exposed to those pets in their bedroom. 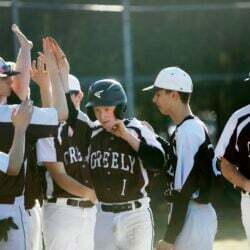 • Four in 10 (39.6 percent) Maine children with asthma live in homes with either a wood-burning stove or fireplace; nearly one-third (30.8 percent) live in homes where gas is used for cooking. • More than half (60.5 percent) of Maine children with asthma had carpeting or rugs in their bedroom. “Maine’s current adult asthma rates have consistently been higher than national current asthma rates,” notes Jim Braddick, program manager at the Maine Department of Human Services and Maine CDC. He adds that rates for Maine and the nation don’t seem to be rising since 2011, according to the Centers for Disease Control and Prevention data, but neither are they falling. Asthma, a chronic constriction of the airways that causes wheezing, chest tightness, coughing and shortness of breath, is a common disease that affects more than 25 million Americans, about 7 million of them children, according to the National Heart, Lung, and Blood Institute statistics. Scott Morin, D.O., an asthma specialist in the pulmonary critical care unit at Southern Maine Health Care in Biddeford, treats adults and says the numbers of asthma patients he sees hasn’t changed. But he said he’s noticed a generational uptick in kids of asthmatics also diagnosed with asthma either as children or when they become adults. “When you compare recent generations to the generations before, there’s been an increase in asthma,” he says. The percentage of Maine children with asthma is 9.1 percent, similar to the 8.9 percent nationwide. While there is no single cause of asthma, there are various theories about why it is so bad in Maine. Asthma has been linked to factors such as sanitation and air control practices in the house, and more frequent hand washing, which ironically may create too sterile an environment and not allow the immune system to develop properly. Other culprits Morin says are exposure to cigarette smoke and poverty-related conditions, such as dust mites, rat urine and lack of access to medicine. Maine’s cold, moist air also can trigger asthma attacks. Asthma is commonly associated with poor air quality, which aggravates symptoms. However, a recent American Lung Association study notes Portland is one of four Northeast cities to have reached its lowest level of ozone (smog) ever, indicating the air quality is improving. “There’s no safe level of exposure to smog and particulate pollution,” says Elizabeth Ridlington, policy analyst with the Frontier Group and co-author of a recent Environment Maine Research & Policy Center report on unhealthy air. Coates adds that the moist air in Maine causes mold, and smoke exposure is higher than national rates. That, in turn, can exacerbate the inflammation in the breathing passages and cause asthma attacks. About one-third of people with asthma also have allergies, and obese people tend to have more of a predisposition to allergies and asthma. 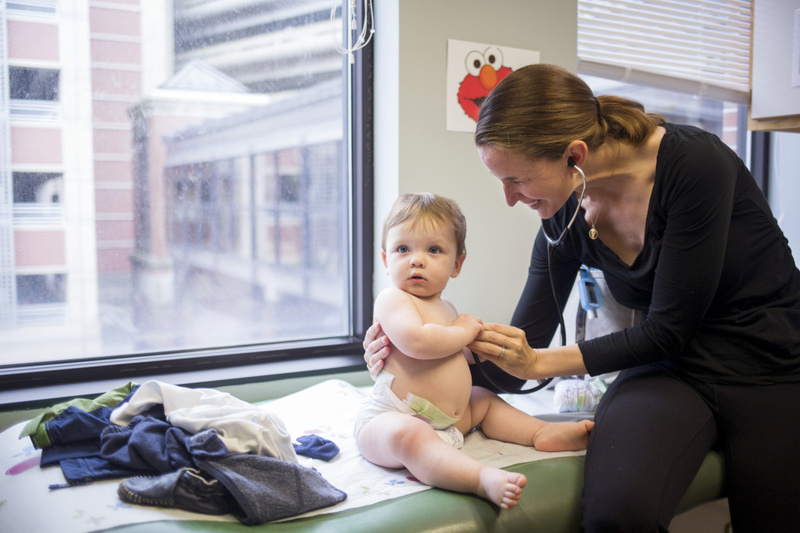 Coates says that when she and a colleague started at Maine Medical Center in 2013, they doubled the pediatric pulmonologist numbers in the state to four. They go out to schools to educate students and raise awareness about the prevalence of the disease, letting students know it can be life-threatening if not controlled. 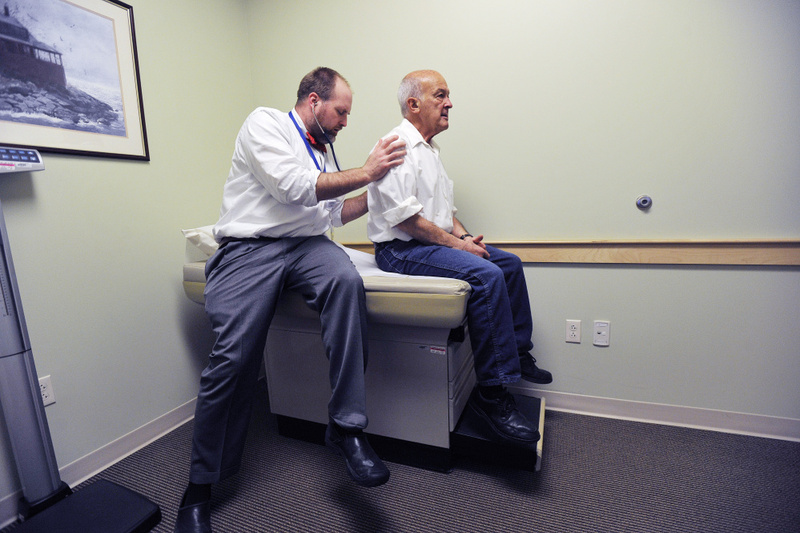 Dr. Ted Sears, of Chest Medicine Associates in South Portland, looks over patient Bill Coogan 74, of Westbrook. Since asthma symptoms take many forms, there are various treatments, including pills and inhalers. The first line of treatment for asthma in both adults and children is an inhaler, but since there are not many low-cost generic versions available, the $100-$200 monthly prescription cost can be an obstacle to poorer patients. In addition to affordability, patient compliance remains a problem, as does taking the medications properly, particularly those that are inhaled. Ted Sears, M.D., an adult pulmonologist at Maine Medical and on staff at Chest Medicine Associates, says there are some new shots that can help control the inflammation, but they typically are for people who find it difficult to take their medications, like the elderly. Asthma can be controlled in the majority of cases, Sears says. Maine is improving in that area, Maine CDC’s Braddick says. Still, that’s good news for the medical system, as asthma in Maine currently is responsible for about $14.3 million in lost productivity and nearly $173 million in direct medical costs annually, according to Maine CDC and the Maine Behavioral Health Risk Factor Surveillance System. Asthma causes about 13 deaths in the state each year. Braddick says Maine CDC is focusing on how the state is progressing regarding the level of asthma symptom control reported by Maine residents. Maine CDC and its partners offer a variety of resources and programs to educate people with asthma, their medical providers and caregivers about improving the level of control of asthma symptoms. FOR MORE on asthma resources in Maine, go to www.maine.gov/dhhs/mecdc or call 287-8016.